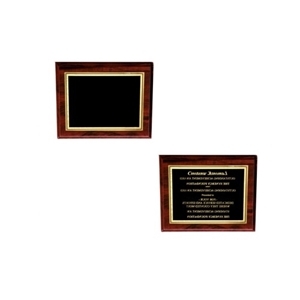 A formidable plaque to award to an achiever, this horizontally laid plaque measures 10 inches by 8 inches. The plate belongs to a black gilded kind, and comes with a cherry wood finish. The plate can be engraved with up to 13 lines of writing, with up to 35 characters (including spaces) in each line. 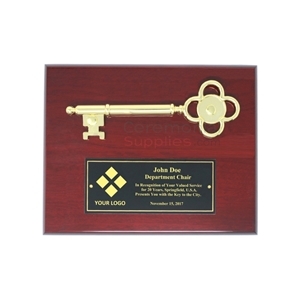 A beautiful 8 inch X 10 inch high-gloss plaque in cherry finish is the setting for a shiny golden Ceremonial Key to the City. Below the key, you have the option to add your logo as well as 6 lines of text on a black plate with golden text to dedicate the plaque to the deserving honoree. This products takes between 5 and 7 business days before shipping. 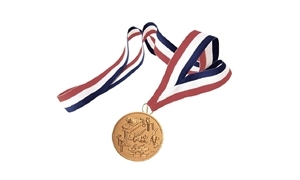 An excellent award that commemorates a commitment to excellence, this is an etched medal measuring 2 inches in size, with the rim measuring 2.25 inches and the attached ribbon measuring 31 inches by 1.5-inch neck ribbon in a choosable color. The ribbon colors available are blue, red, white, green, gold, black, and purple. A trophy that celebrates corporate achievements, this trophy measures 5.5 inches by 9 inches by 4 inches, and weighs a reassuring 3 pounds. The attached black base gives you a print area good for 5 lines of text, with 1 line being for the header and the rest for the body. 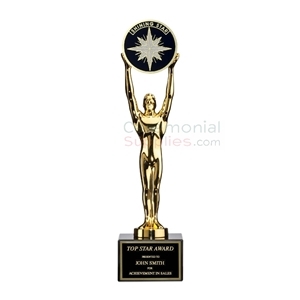 Providing yet another option when it comes to commemorating hard work, this award measures 8 inches tall and features a simulated wood base. 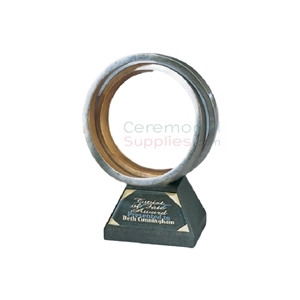 This trophy holds a 2 inch insert (medal) and includes a gold plate which can be had with up to 3 lines of engraved text. 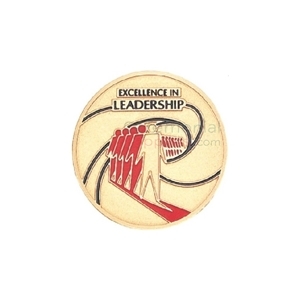 A medal to celebrate leadership, this recognition medal measures 2 inches in size, with a 2.25 inch plain rim. A 31 inch by 1.5 inch wide neck ribbon in a color of your choice is included with your purchase. Colors include blue, red, white, green, gold, black, and purple. 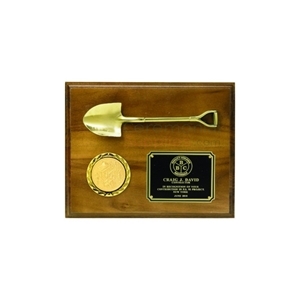 Measuring 8 inches by 10 inches, this Key to the City Plaque comes in a walnut finish with a 2 inch appreciation handshake insert, along with the option of up to 6 lines of engraved text on a 3 inch by 4 inch black screen plate laid in the plaque. 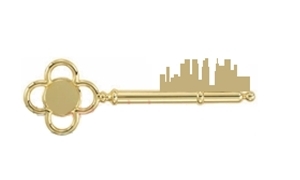 The highlight of the plaque is an installed Golden Key to the City across the top. 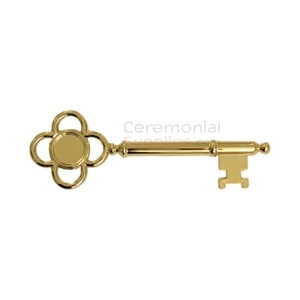 Key is made of brass with a fine gold color tone. A five-pointed star made of stone resin, this is a resplendent award for a starry performance. 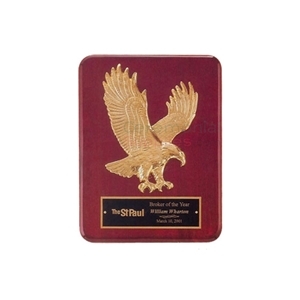 Measuring 7 inches by 5 and three quarter inches, the award comes with a 2 inch medallion insert recognizing sales achievement and 3 lines of optional engraving (1 header followed by 2 lines of text) in black mylar with contrasting gold engraving. The award is also available in white. Designed to proudly show off your accomplishments or cherished keepsakes, this display case comes in a soft cherry finish and reversible Velcro to attach your commemorative treasures. The case is available in two sizes: Large, measuring 21 inches by 17 inches by 2 inches; and Medium, measuring 17 inches by 13 inches by 2 inches. 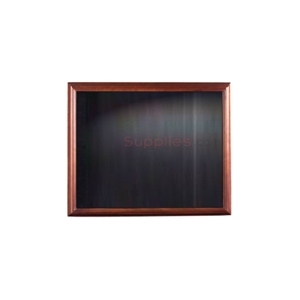 The case can be displayed either horizontally or vertically. Allow 2-5 additional days for processing. As symbolic as plaques get, this plaque is made of rosewood and comes with a piano finish in addition to the mounted bronze eagle. The plaque measures a considerable 9 X 12 inches and can be had with up to 4 lines of engraved text. With its impressive baroque design and its 5.5 inch by 12 inch by 5 inch size,this is a must have award to recognize business superstars. 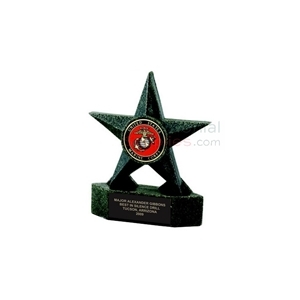 The award features space for 6 lines of text (1 header followed by 5 lines of text) and also has the option to have a logo printed at the center front. Gift box for storage included. 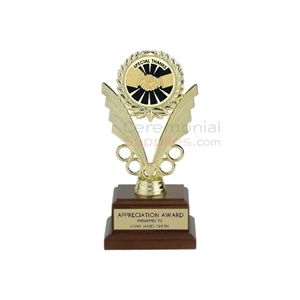 The perfect mix of high achievement recognition and ornamental design, this award measures 8.5 inches with a base that comes on a walnut finish. 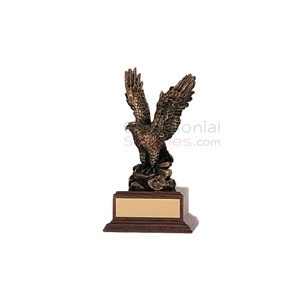 The eagle can be produced in 3 metallic finishes - Brass, Silver or Bronze. This crystal key makes for a stunning honorary award. It measures 6 inches in length by 2 and a quarter inches by 1 inches. 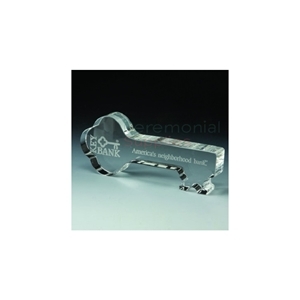 The key can be had with 2 lines of engraved text included, with the option of adding a logo for an additional fee. 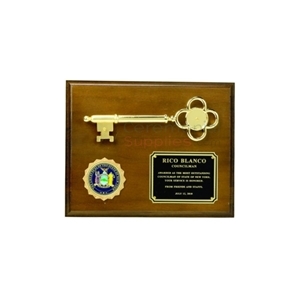 The key comes with an included gift box to present to the recipient. 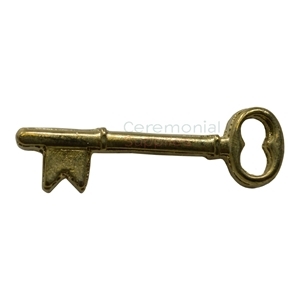 A valuable token to give to highly honorable individuals, this Key to the City measures 8 inches long and it is made of brass with a golden finish. 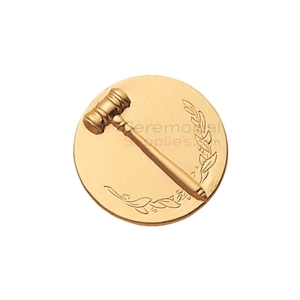 This ceremonial key lapel pin features a military clutch style pin back. 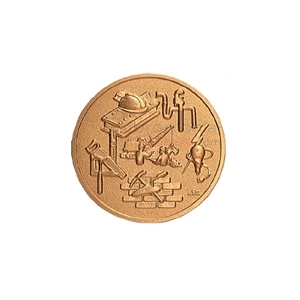 This pin comes in two color options: Gold or Silver and measures 3/8 x 1 3/8 inches. 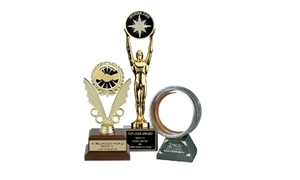 Hand casted with a bright 24K gold finish, and standing on a black base measuring an impressive 10 inches tall, this award is motivation enough for potential recipients. 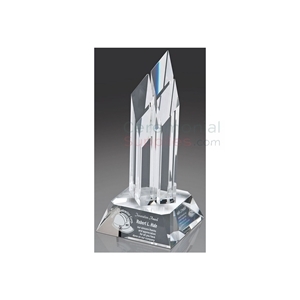 For a small fee, a logo can be etched on the award with upto 3 lines of text. 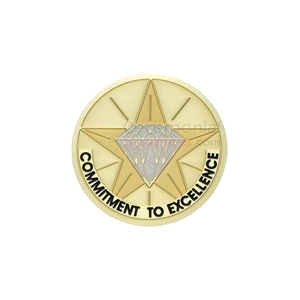 For construction projects and the teams put together to accomplish project goals deserving of recognition comes this etched medal measuring 2 inches in diameter with a 2.75 inch rim medal frame and a 32 inch 1 and a half inch neck ribbon in a color of your choice. Ribbon colors available are blue, red, white, green, gold, black, and purple. Every company has one—month, after month, after month. 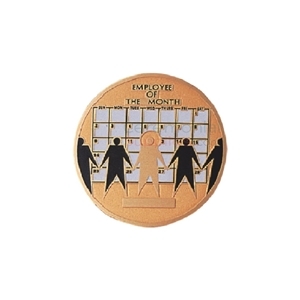 Designed to congratulate the employee of the month, this medal measures 2 inches in size and features an etched design with a 2 and a quarter inch plain rim medal frame and a 32 inch by 1 and a half inch neck ribbon to allow you to proudly display the medal. The ribbon can be had in multiple colors such as blue, red, white, green, gold, black, and purple. A momentous groundbreaking ceremony can be event more grand if it culminates with the presentation of an award that commemorates the event. The Groundbreaking Shovel Plaque is such an award. Measuring 10 X 8 inches and featuring an elegant walnut wood finish, this plaque comes with a 2 inch hand shake insert and up to 6 lines (1 header followed by 5 lines of the main paragraph) of engraved text on a 3 inch by 4 inch plate. 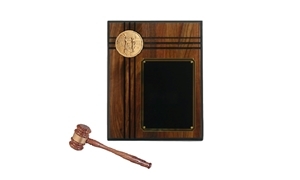 Celebrate the judicial system’s superstars with an etched medal that measures 2 inches with a 2.25 inch plain rim medal frame and a 32 X 1.5 inch neck ribbon in a solid color of your choice. Ribbon colors available are blue, red, white, green, gold, black, and purple.